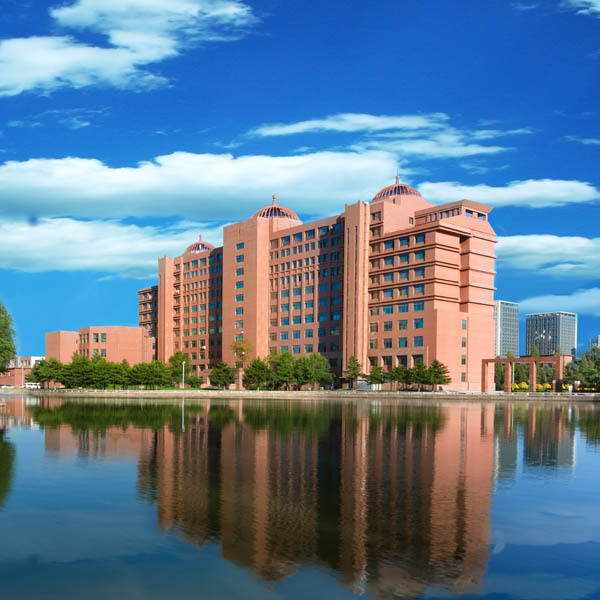 Inner Mongolia University (IMU) is located in Hohhot, the capital of Inner Mongolia Autonomous Region and a famous historic and cultural city with a distance of 400 kilometers from Beijing. 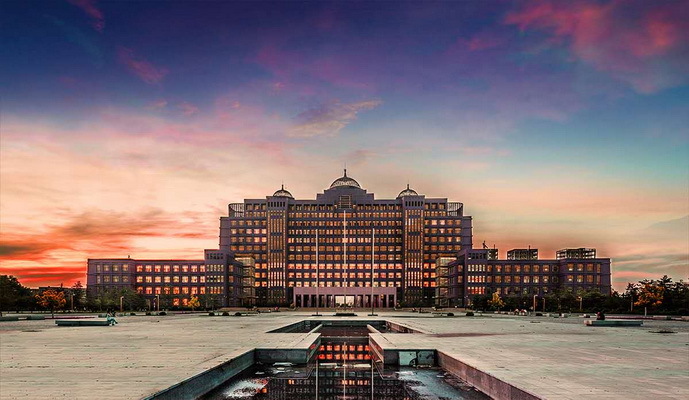 As the first comprehensive university in ethnic minority region after the founding of the People’s Republic of China, IMU was established at a high starting point accomplished at one go in 1957 coinciding with the 10th anniversary of the founding of the Autonomous Region. With Ulanhu, the then-vice-premier of the State Council and governor of Inner Mongolia as the first president of IMU and a high-level faculty at the beginning stage of IMU consisting of discipline leaders and academic backbones selected by the CPC Central Committee and the central government from a dozen or so prestigious universities across China, including Peking University, who brought with them long-accumulated academic traditions and sublime spirits of universities, a solid foundation for running the university was laid, and healthy academic and campus atmosphere were introduced to IMU. IMU was approved to enroll graduate students in 1962, designated as a key university in China in 1978, authorized to confer doctoral degrees in 1984, included into Project 211 for the building of key universities in 1997, listed as a university co-sponsored by Inner Mongolia and the Ministry of Education in 2004, incorporated into the state program for building one high-level university in each of the provinces in the Mid-western Region in 2012, selected as one of the universities in China for the Double First-Class initiative in 2017, and appointed as a university of co-sponsorship by the Ministry of Education and Inner Mongolia, i.e. a university sponsored by the Ministry and included into the rank of universities under the administration of the Ministry, in 2018. IMU boasts 10 disciplinary fields, namely philosophy, economics, law, literature, history, sciences, engineering, agronomy, administration science and arts, two state-level key disciplines, namely minority language and literature and zoology, one state-level key cultivation discipline, namely ecology; 18 regional-level key disciplines, 8 regional-level key cultivation disciplines, 12 primary-level and 1 secondary-level disciplines authorized to confer doctoral degrees, 7 postdoctoral mobile stations, 27 primary-level and 4 secondary-level disciplines authorized to confer master’s degrees, and 10 majors authorized to confer professional master’s degrees. IMU has built 6 ministerial research platforms, including state-level key laboratories with regional and ministerial co-sponsorship, key laboratory of the Ministry of Agriculture, key laboratory, engineering research center and key research base of humanities and social sciences of the Ministry of Education in the fields of biology, ecology and Mongolian studies, etc., and 35 regional-level key laboratories, engineering research centers and key research bases of humanities and social sciences. The main campus of IMU is staffed with 1,069 teachers and researchers, including 218 professors and 337 associate professors, of which 67% hold doctoral degrees. 12,287 undergraduate, 6,392 graduate and more than 800 international students are studying on the main campus. Thanks to the energetic support of the central and regional governments over the past years, IMU has significantly improved its hardware conditions, noticeably enhanced its appeal to talents from home and abroad, rapidly upgraded its educational quality, achieved considerable progress in undertaking key and major state-level projects, expanding global influence of its academic accomplishments, cultivating talents, serving the local development and promoting internationalization, and has proved itself as a pivotal base for the cultivation of high-caliber talents, high-standard scientific researches, high-quality commercialization of research findings and high-level decision-makings and consultations. To speed up the building process of the Double First-class Initiative, IMU has implemented the Steed Plan to enhance the introduction and cultivation of high-end academic talents and the Young Talents Introduction Plan to introduce talents from home and abroad in large numbers. For the five years to come, IMU is ready to offer more than 400 vacancies for academic leaders, backbones and outstanding young talents, provide first-class academic environment, resources, services and benefits for them and build with concerted efforts an ideal platform for career development, innovation and the realization of academic aspirations. Sciences (mathematics, physics, chemistry, biology, ecology, environmental science), engineering (computer science and technology, information and communication engineering, software engineering, materials science and engineering, chemical engineering, environmental engineering, energy chemical engineering, food science and engineering, mechanical engineering, civil engineering, traffic and transportation engineering), agronomy (crop science, horticulture), administration science (industrial & business administration, public administration), philosophy, economics, law, political science, ethnology, sociology, Marxist theories, literature (Chinese language and literature, minority language and literature,foreign language and literature,journalism and communication), and history (Chinese history, world history). Qualifications required: Outstanding talents selected for the National High-level Talents Special Support Plan, academicians of the Chinese Academy of Sciences and Chinese Academy of Engineering, Class I professors (senior professors) with innovative accomplishments, significant contributions and high academic prestige in the fields of philosophy and social sciences, renowned lifetime professors from first-class universities or research institutions from abroad. Benefits: A pre-tax annual salary between RMB1.3 million and 2 million during the service period at IMU will be provided. The start-up research funds will vary specifically based on the characteristics of different disciplines and research plans and may amount up to RMB100 million. Favorable housing and settling-in allowances will be provided. IMU will offer appropriate jobs to their spouses with adequate qualifications. Qualifications required: leading talents selected for the National High-level Talents Special Support Plan, scholars selected for the Thousand Talents Program, receivers of the National Science Fund for Distinguished Young Scholars, distinguished professors selected for the Chang Jiang Scholars Program of the Ministry of Education, or high-level talents with similar academic capacities, aged no older than 55 in principle. Benefits: A pre-tax annual salary between RMB0.6 million and 1.3 million during the service period at IMU will be provided. The start-up research funds will vary specifically based on the characteristics of different disciplines and research plans, with the maximum of RMB10 million for experiment-based disciplines and RMB3 million for non-experiment-based disciplines respectively. Favorable housing and settling-in allowances will be provided for non-local talents whose spouses with adequate qualifications will be offered appropriate jobs at IMU. Qualifications required: young top-notch talents selected for the National High-level Talents Special Support Plan, state-level candidates for the New Century Talents Project, scholars selected for the Young Overseas High-level Talents Introduction Plan, scholars selected for the Chang Jiang Young Scholars Program, scholars sponsored by the Outstanding Youth Science Foundation of the National Natural Science Foundation, scholars selected for the One Hundred-Person Project of the Chinese Academy of Sciences, or high-level talents with similar academic capacities, aged no older than 45 in principle. Benefits: A pre-tax annual salary between RMB0.4 million and 0.6 million during the service period at IMU will be provided. The start-up research funds will vary specifically based on the characteristics of different disciplines and research plans, with the maximum of RMB5 million for experiment-based disciplines and RMB1.5 million for non-experiment-based disciplines respectively. Favorable housing and settling-in allowances will be provided for non-local talents whose spouses with adequate qualifications will be offered appropriate jobs at IMU. Qualifications required: scholars with doctoral degrees conferred or post-doctoral background at renowned universities or scientific research institutes from abroad, or with titles no lower than associate professor conferred by first-class universities or scientific research institutes in China; scholars with major academic achievements recognized by domestic and foreign counterparts, innovative visions for disciplinary building and the scientific research in their fields, capacity of leading national-level key projects, organizing innovative research endeavors and producing first-class results, and potentials for winning the National Science Fund for Distinguished Young Scholars and being selected as Chang Jiang Scholars, aged no older than 40 for science and engineering disciplines and 45 for humanities respectively in principle. Benefits: A pre-tax annual salary of RMB0.3 million during the service period at IMU will be provided. The start-up research funds will vary specifically based on the characteristics of different disciplines and research plans, with the maximum of RMB3 million for experiment-based disciplines and RMB1 million for non-experiment-based disciplines respectively. Favorable housing and settling-in allowances will be provided for non-local talents whose spouses with adequate qualifications will be offered appropriate jobs at IMU. Qualifications: scholars with doctoral degrees conferred or post-doctoral background at renowned universities or scientific research institutes in China or from abroad; scholars with major academic achievements recognized by domestic and foreign counterparts, innovative visions for disciplinary building and the scientific research in their fields, capacity of leading national-level key projects and producing first-class results, and potentials for being selected by the Young Overseas High-level Talents Introduction Plan, the Outstanding Youth Science Foundation, Young Chang Jiang Scholars and the National Youth Talent Support Program, aged no older than 35 for science and engineering disciplines and 40 for humanities respectively in principle. Benefits: A pre-tax annual salary of RMB0.2 million during the service period at IMU will be provided. The start-up research funds will vary specifically based on the characteristics of different disciplines and research plans, with the maximum of RMB1.5 million for experiment-based disciplines and RMB0.5 million for non-experiment-based disciplines respectively. Favorable housing and settling-in allowances will be provided for non-local talents. Qualifications: Scholars aged below 45 in principle with the following qualifications: (1) Young top-notch scholars with the experience of no less than 2 years of academic employment by renowned universities or research institutes from abroad upon inception of doctoral degrees at renowned universities in China or from abroad, or employment by renowned universities or research institutes in China with senior professional titles, or with doctoral degrees conferred by first-class universities or research institutes in China or from abroad, prominent academic accomplishments, superior academic capacities among their peers and potentials for academic leaders. (2) Scholars with the capacity of undertaking major scientific research projects and achieving series of academic accomplishments with significant influences, accumulating relatively high-level experiences in scientific researches and teaching practices, innovative visions for disciplinary building and the scientific research in their fields, and the capacity of leading national-level key projects, organizing innovative research endeavors and producing first-class results. Benefits: Start-up research funds amounting to RMB1-2 million for experiment-based disciplines and RMB0.4-1 million for non-experiment-based disciplines, housing allowances amounting RMB 0.6 million; and salaries, insurances, welfare benefits and various allowances as prescribed by relevant national regulations will be provided. Qualifications: Scholars aged below 35 in principle with the following qualifications: (1) Excellent undergraduate and graduate education background and doctoral degrees conferred by renowned universities in China or from abroad. (2) Experiences of research in frontiers of academia while studying for doctoral degrees or working as postdoctoral fellows, certain academic achievements, innovative visions for future research schemes, capacities or potentials for leading national-level scientific research projects, enthusiasm in teaching, and capabilities of teaching undergraduate and graduate curriculum. Benefits: Start-up research funds amounting between RMB50,000 and RMB300,000, housing allowances amounting between RMB100,000 and RMB300,000, salaries, insurances, welfare benefits and various allowances as prescribed by relevant national regulations will be provided. Qualifications: Scholars meeting the requirements of relevant prescriptions of the China Postdoctoral Administrative Council, having published as the first author academic theses related to their doctoral dissertations or disciplines of application for postdoctoral programs, or having attained similar academic accomplishments. Benefits: IMU will provide apartments specifically designed for postdoctoral fellows and living expenses and social security insurances for full-time postdoctoral fellows working at the postdoctoral mobile stations. Performance assessments will be conducted on the scientific research and teaching of the postdoctoral fellows working at the mobile stations annually by corresponding departments of IMU in accordance with regulations and procedures of assessment of in-service professional and technical personnel as basis for the payment of performance allowances. 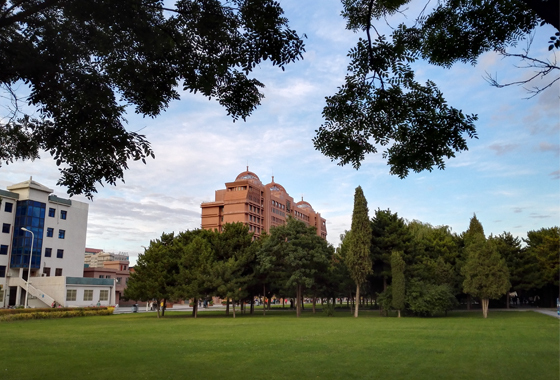 Applicants are kindly requested to send their documents to the following email addresses of the colleges of IMU and forward copies to the recruiting email address of the Personnel Division of IMU at ndszk@imu.edu.cn（防止邮件丢失请抄送至：nmgdxrcb@126.com，申请时请注明信息来源于留学人才网-liuxuehr.com）.